STEP 1: Make a heading in one notebook that says, "WebQuest: Animals." STEP 2: Label each TASK below and complete the TASKS in your notebook. STEP 3: Turn your notebook into the turn-in basket at the end of the day. Today, you are an exobiologist. An ex·o·bi·ol·o·gist studies living organisms (animals) that live on other planets. Your mission is to study this planet and classify its animal species. First, you must classify all living organisms into two groups: invertebrates and vertebrates. You must then classify the vertebrates into 5 groups: Mammals, Reptiles, Birds, Amphibians, and Fish. 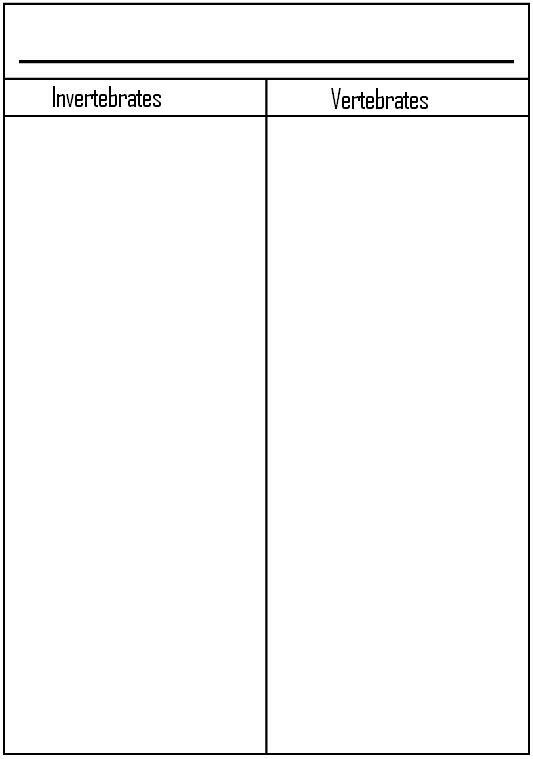 Make a chart or graphic organizer with two sections. One section is titled "Invertebrates" and the other section is titled "Vertebrates". List 5 organisms that are invertebrates in the "invertebrates" section. List 5 organisms that are vertebrates in the "vertebrates" section. 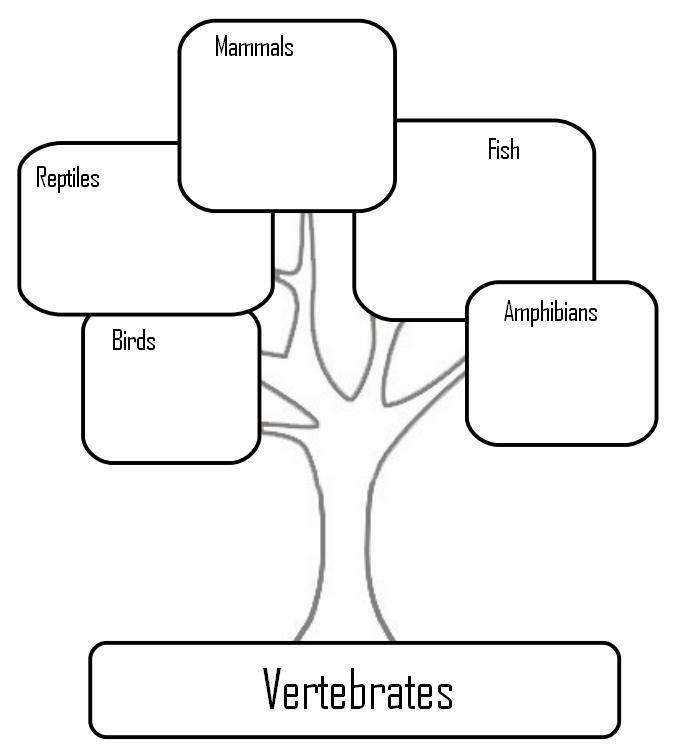 Describe the 5 groups of vertebrates: Mammals, Reptiles, Birds, Amphibians, and Fish. Be creative when organizing your descriptions, but be clear when you describe what a mammal is, what a reptile is, what a bird is, what an amphibian is, and what a fish is. Their descriptions should show how they are different from each other. Use the link below to help you find their descriptions.